Prayer Meeting! 1:00 pm Tuesdays. "18.I pray that the eyes of your heart may be enlightened, so that you will know what is the hope of His calling, what are the riches of the glory of His inheritance in the saints, 19.and what is the surpassing greatness of His power toward us who believe. These are in accordance with the working of the strength of His might 20.which He brought about in Christ, when He raised Him from the dead and seated Him at His right hand in the heavenly places, 21.far above all rule and authority and power and dominion, and every name that is named, not only in this age but also in the one to come. 22.And He put all things in subjection under His feet, and gave Him as head over all things to the church, 23.which is His body, the fullness of Him who fills all in all." "Lord, I pray that the eyes of <your friend> may be enlightened, so that <your friend> will know what is the hope of His calling, what are the..."
Send Us Your Prayer Request! We will pray for you. 12 1 Now about that time, King Herod stretched out his hands to oppress some of the assembly. 2 He killed James, the brother of John, with the sword. 3 When he saw that it pleased the Jews, he proceeded to seize Peter also. This was during the days of unleavened bread. 4 When he had arrested him, he put him in prison, and delivered him to four squads of four soldiers each to guard him, intending to bring him out to the people after the Passover. 5 Peter therefore was kept in the prison, but fervent prayer was made by the church to God for him. 6 The same night when Herod was about to bring him out, Peter was sleeping between two soldiers, bound with two chains. Guards in front of the door kept the prison. 7 And behold, an angel of the Lord stood by him, and a light shone in the cell. He struck Peter on the side, and woke him up, saying, “Stand up quickly!” His chains fell off from his hands. 8 The angel said to him, “Get dressed and put on your sandals.” He did so. He said to him, “Put on your cloak, and follow me.” 9 And he went out and followed him. He didn’t know that what was being done by the angel was real, but thought he saw a vision. 10 When they were past the first and the second guard, they came to the iron gate that leads into the city, which opened to them by itself. They went out, and went down one street, and immediately the angel departed from him. 11 When Peter had come to himself, he said, “Now I truly know that the Lord has sent out his angel and delivered me out of the hand of Herod, and from everything the Jewish people were expecting.” 12 Thinking about that, he came to the house of Mary, the mother of John who was called Mark, where many were gathered together and were praying. 13 When Peter knocked at the door of the gate, a maid named Rhoda came to answer. 14 When she recognized Peter’s voice, she didn’t open the gate for joy, but ran in, and reported that Peter was standing in front of the gate. 15 They said to her, “You are crazy!” But she insisted that it was so. They said, “It is his angel.” 16 But Peter continued knocking. When they had opened, they saw him, and were amazed. 17 But he, beckoning to them with his hand to be silent, declared to them how the Lord had brought him out of the prison. He said, “Tell these things to James, and to the brothers.” Then he departed, and went to another place. Let's pray for people to be set free from the chains of sin! Confess your sins one to another, and pray one for another, that you may be healed. 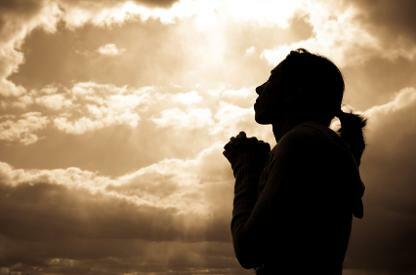 The effectual fervent prayer of a righteous man accomplishes much.